If you are in search of Puducherry (Pondicherry) local bus routes and timing then please find the details from the below image . Also known as public transport within puducherry city ....PRTC buses operated by government of Puducherry . There are also other private buses available .. But it is not shown here . I have taken this picture from the puducherry bus stand .. 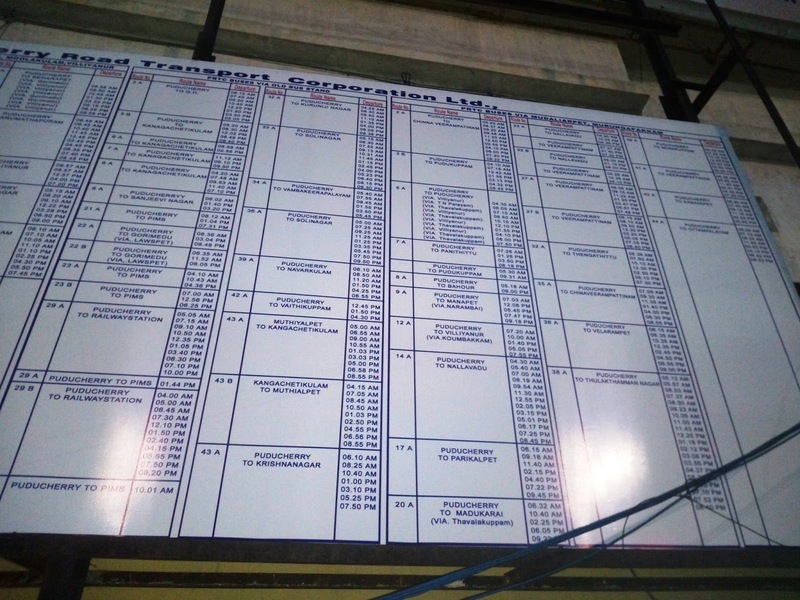 It is a big notice board , i couldn't capture it fully in a single image . Hence attached it as 2 images . Sorry for the low resolution picture . I will try to upload a better one in future . Labels: PRTC bus timing . Pudhucherry bus route . 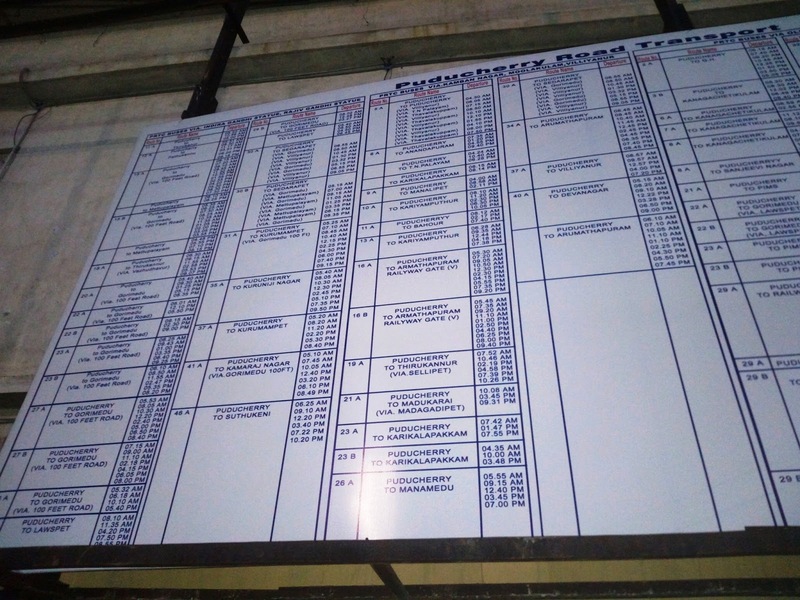 .Puducherry local buses and its timings.